As a resident of San Francisco (and with Los Angeles just a drive away), I cannot escape the food hate. Whether it be a campaign against cooked provisions, farmed products or anything of solid consistency, I cannot help but wonder if any possible benefit of these diets outweigh the risk of missing out on amazing grub. But what about gluten-free diets? Gluten, a protein found in foodstuffs such as wheat, barley and rye, has been accused of causing major physical and psychological symptoms in patients that have tested negative for established gluten-related medical conditions including the anti-gluten inflammatory disorder known as celiac disease (CD) and wheat allergy (WA). Patients claiming "gluten sensitivity" report a variety of non-specific symptoms including abdominal bloating, diarrhea and stomach pain. Extra-intestinal symptoms such as headaches, depression and skin rashes as well as patient-reported resolution of these ailments after gluten-restriction may help separate gluten sensitivity from other similar gut disorders such as lactose intolerance. While the link between these adverse symptoms and gluten ingestion are hotly debated in academic medicine, one thing is certain: The gluten-free industry is big business. From gluten-free Girl Scout cookies to gluten-free vodka, the supply of various gluten-free products is reaching new heights in order to catch up with market demand. In the New York Times article linked above, columnist Matt Rainy notes that that more than 10 percent of households have purchased gluten-free products in the last year, contributing to sales of more than $10 billion. Given the low prevalence of CD (less than 1 percent in U.S. population), it can only be assumed that gluten-free consumers are restricting their diets for other health-related reasons. Despite observational certainty among the gluten-free eateries and customers that flock every corner of where I live, the concept of gluten sensitivity remains an elusive and emerging concept in academic medicine. At the turn of the century, many gastrointestinal experts regarded the symptoms of gluten sensitivity as somatization, or the tendency to experience psychological distress in the form of physical symptoms. Although a sub-population of patients claiming gluten sensitivity may actually have this disorder, new expert opinions and emerging academic evidence suggest that these symptoms are likely more than just mind games. But is gluten specifically to blame? Diagnostic criteria overlap between IBS and gluten sensitivity, and mounting evidence suggests that carbohydrates commonly found in gluten-containing products may provoke gastrointestinal symptoms in IBS. One can extrapolate from such research that the withdrawal of gluten products from diet may inadvertently treat intolerances caused by other gut-busting nutrients known to exacerbate IBS. To further complicate the issue, many patients concerned with gluten sensitivity have already restricted their diets for several weeks before seeing their doctors. This may delay diagnoses of other conditions, as specific tests may not be as useful unless challenged with the culprit food product. 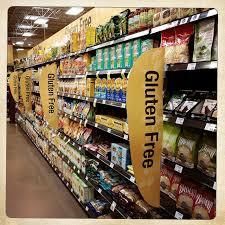 Is this explosion of gluten-free business serving a capitalistic "treatment" for an epidemic historically pooh-poohed (!) by the health care sector? Or is the food industry profiting from the exploitation of individuals eager to attribute nonspecific and undiagnosed symptoms to something tangible? Until more robust research is published on the topic, it is important for both patients with suspected gluten intolerance and their physicians to focus on the established workup and evidence for these symptoms while respecting the current uncertainty regarding gluten sensitivity.